A list of frequently asked questions for Everett Attorneys about personal injury and workers compensation law. Answers to frequently asked questions about personal injury and workers compensation (Labor & Industries L&I) claims and questions about Farley and Dimmock, LLC. 1. I was in a car accident and got hurt. Does it matter if I call my insurance company or an attorney first? Answer: It is always a good idea to start by contacting an attorney. An attorney experienced in personal injury law will be able to give you a road map regarding your claim. He or she will be able to explain to you how your claim will progress and how to put yourself in the best position to obtain all the benefits you are entitled to. I can't think of anyone who consulted with an injury lawyer too soon; I know of many people who reached out for an attorney when it was too late. Both attorneys at Farley & Dimmock formerly worked for insurance companies. Our experience gave us valuable insight as to how insurance companies approach claims. We will use that knowledge to your advantage. The bottom line is this: insurance companies -- yours and the insurance company for the other car involved in your accident -- always act in their own best interests which often conflicts with yours. One more thing: your initial consultation with most injury attorneys is free. There will be no charge for your first telephone conversation or meeting to discuss your accident and injuries. 2. I was a passenger in a car accident and was injured. What should a passenger do if they have been seriously injured in a car accident? Answer: Like others involved in an accident, it's recommended that you start by consulting an attorney. A passenger has numerous potential insurance coverages. He or she could have insurance coverage from the vehicle involved in the accident, that passenger's own auto insurance, that passenger’s own health insurance, and, ultimately, the insurance of the other driver who may have been responsible for the accident. It can be a tangled web of insurance responsibilities that an injury attorney can straighten out and help you to avoid unpaid medical bills which may be on their way to collections. 3. What types of compensation might I expect as a result of an injury suffered in a car accident? If the accident was your fault, and you have Personal Injury Protection (PIP) coverage on your auto policy, your accident-related medical treatment should be paid for by your own insurance company to the extent of your PIP coverage. 4. I was just in a car accident and now my neck hurts. What should I do? Answer: It is very common for neck pain and restriction to worsen in the days following an accident. You should seek medical attention either with your primary care physician, a walk-in clinic, an emergency room, or a chiropractor. When you see a physician or chiropractor, be sure to be clear that the accident was the cause of your injuries. Also, know that anything you say to your doctor or write on an intake form will be seen by either your insurance company or the insurance company for the other driver or both. It is important to be accurate. 5. Is there a statute of limitation for filing an injury claim? Answer: There are different limitations for different cases. Personal injury cases, that is, a claim for injuries from a car accident or similar incident, have a 3-year statute of limitations. Claims concerning work injuries must be filed with the Department of Labor & Industries within one year of the injury. Please understand that while the cases must be started within three years (or one year for an L&I claim), an injury claim does not have to be settled or tried within the limitation period. 6. I got hurt at work. What should I do? Answer: When a person is injured at work he or she should seek medical attention. The physician you see is required to assist you in filing a claim with the Department of Labor and Industries. Your employer will want to be advised of your injury as soon as possible. If your employer requires you to complete a form regarding your injury, be sure to be thorough and accurate on that form and insist upon obtaining a copy of whatever document you complete. Employers have the right to contest your injury claim. It is very important that you preserve evidence and record the names and contact information for any potential witnesses. Your co-workers may turn out to be critical witnesses for your claim. 7. My L&I claim was denied. What should I do? What are my options? Answer: Ultimately, you should contact an attorney who handles L&I claims. But if for some reason that is not possible, you must "protest" the decision in writing to the Department of Labor & Industries. "Protest" in this context just means that you express in writing that you disagree with L&I's decision. In your written protest you may want to explain why you disagree, but it is vastly more important that you mail it in within the deadline period. If you fail to send in a protest within the time allowed, L&I’s order will become final. Regarding that time period, every L&I order should state how long you have to submit your protest. The time period is usually 60 days (protesting a "vocational determination" will have a shorter deadline of 15 days). The order must spell out the deadline and to whom you are to send your protest. If you have exhausted your protests to the Department of Labor and Industries, you may be required to file an appeal to the Board of Industrial Insurance Appeals. Again, to whom you must send your protest or appeal will be stated in the order you want to challenge. Regarding L&I orders, if you fail to protest within the time allowed, then you will be stuck with L&I's decision forever. Our rule at Farley & Dimmock is: "when in doubt, stand up and shout." It is a simple thing to withdraw a protest, it is impossible to lodge one after the allowed has expired. 8. I got hurt while working but was getting paid under the table. What can I do? Answer: This can create a very complicated situation. If this happens to you, you should consult an attorney as soon as possible. 9. What are examples of settlements your firm has recovered for clients? Answer: Our firm has obtained all sorts of settlements in all sorts of cases. We have handled cases with values over a million dollars and claims with values less than $10,000. 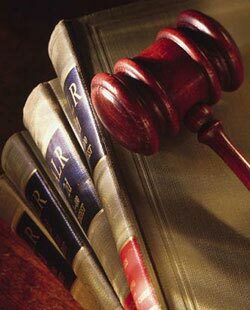 Although different cases have different values, for each of our clients, his or her case is of the utmost importance. It may sound corny but it's true: we work hard to obtain excellent results for all of our clients. Your case is as important to us as it is to you.